Purple Essentials - Natural Skin Care for a pure and simple life! : BUY & SPEND eGift Cards from Purple Essentials and Square!! Birthday, Valentine's Day, Christmas, Anniversary ... or as a spontaneous gift of Love - eGift Cards from Purple Essentials and Square! To streamline and enhance our eGift Card system we have partnered with Square to provide a fun and easy method of buying, sending ... and spending, Purple Essentials gift cards online and in-store. Customize the perfect, pampering gift - pick from a number of card options - available in any denomination - add your own personal message - create your own unique discount code .. be creative! From start to finish, eGift Cards can be ready to send in minutes. Have them delivered immediately, or opt to have the eGift Card delivered on the day of your choice - Christmas morning, Birthday, Anniversary? 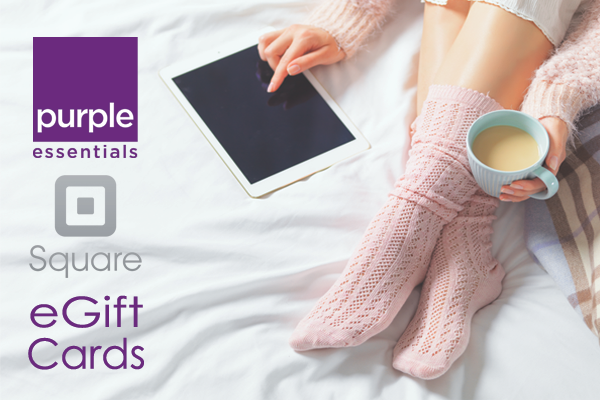 While shopping online at purple-essentials.com offers our most complete fresh and natural product experience, onsite eGift Card services are not currently integrated - Square offers this convenient, secure and easy to use service for sending gift cards to those you love! 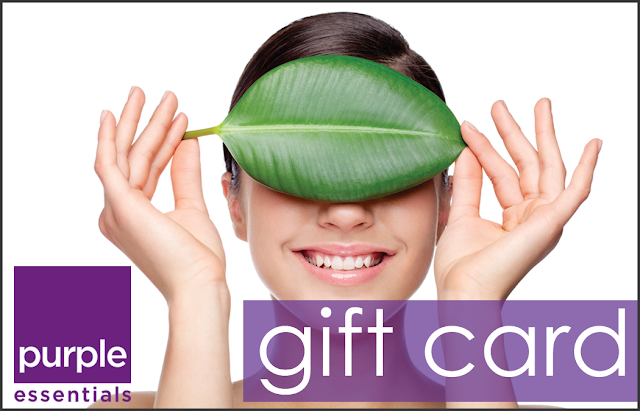 Ready to shop for a Purple Essentials eGift Card? Why these individual sites for shopping online instead of at the purple-essentials.com website? That's why it's important to choose the correct option above for shopping based on the destination of the parcel. e.g. If you are shopping from the US, but are having the item shipped to an address in Ontario, Canada, then choose the shipping destinations in ON shopping option. If you have any questions, don't hesitate to contact us through our Contact Us service online at purple-essentials.com ... we're always available to help make your experience as enjoyable as possible! Thanks for allowing us to nurture your skin, senses and wellbeing! !